A relaxed drive just south of Tampa transports visitors to an older, simpler Florida. Longboat Key is a throwback to an earlier Florida, when fishing for seafood rather than tourists was a way of life. 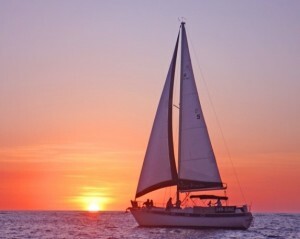 Tucked between Bradenton and Sarasota, this quaint 12-mile long island offers a slower pace where entertainment is as simple as a stroll down the beach or a sunset dinner at a waterfront restaurant. Don’t come here expecting bright lights and big cities. You won’t find the masses of people or the mass-produced entertainment of Orlando or Miami. To the contrary, you’ll have to drive off the island to find a fast food or chain restaurant. Also absent on Longboat Key are high-rise buildings and chain hotels. 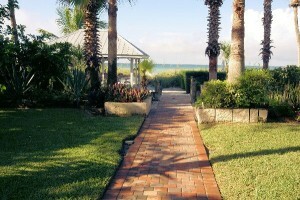 Longboat Key has a relaxed ambiance where people have time to stop and smell the roses and enjoy the outdoors. 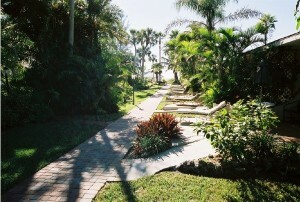 Accommodations at the Sandpiper Inn, my destination of choice, serve to enhance this feeling. You’ll find that the Sandpiper Inn’s ocean-front gazebo is a favorite of guests as they put the cares of yesterday behind, and look ahead to the relaxation of a beach vacation. 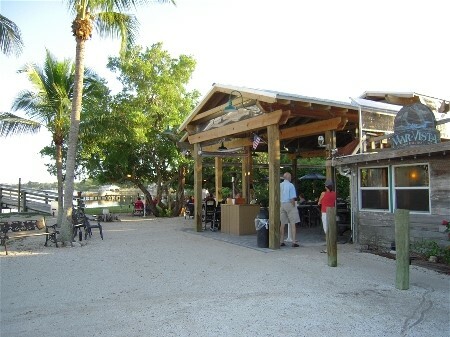 The gazebo is your front row seat for watching dolphins play, pelicans feast or the beautiful Florida sunset. Within walking distance, are several fabulous restaurants to satisfy everyone’s appetite. As an added bonus, the Sandpiper Inn is located directly on the trolley line which travels the islands from Longboat Key to St. Armand’s Circle in Sarasota. After dinner at Euphemia Haye, there’s little to do beyond strolling along the beach or sitting on your patio stargazing and listening to the sounds of the surf. Of course for those seeking a little city life, Longboat Key is only minutes from Sarasota. The city offers many cultural activities from the Van Wezel Performing Arts Center, Asolo Theater, Ringling Museum and Sarasota Ballet to the Sarasota Opera House. Even closer than downtown Sarasota is world-class shopping on St. Armand’s Circle, just a bridge away. 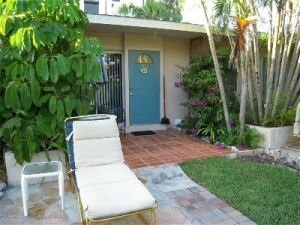 The outdoor options abound on Longboat Key and the staff at the Sandpiper Inn can help arrange any of them. Tennis and golf enthusiasts will find first-class facilities here. Fishing is one of the most popular activities on the island. Of course some of the best fishing can be done right outside your door. For a reasonable fee, Captain Mark Gore will come to you, supply all of the gear and teach you how to surf fish. Whether you are a seasoned fisherman or you’ve never cast a line, Mark Gore caters to anglers of all ages and abilities. 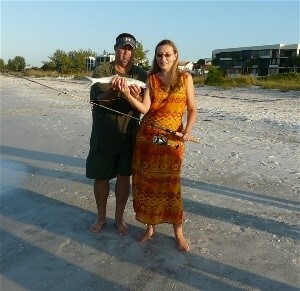 You will be amazed at the variety of fish that can be caught from the beach including lady fish, snook and snapper. 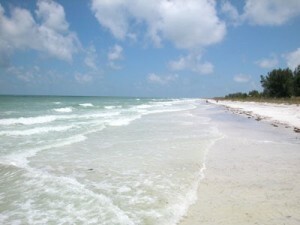 Longboat Key offers near perfect weather with warm temperatures and over three hundred days of sunshine each year. If by chance you do catch less than perfect weather, the Ringling Museum of Art in Sarasota is a must see. When you hear the name Ringling, you inevitably think “circus.” The name conjures up images of spectacle and hyperbole. So it is only fitting that John Ringling built a mansion that was over the top. Ca’d’Zan, or “House of John” in the Venetian dialect, is a 32-room Venetian-style palazzo which blends touches of Italian and French Renaissance with Baroque, Venetian Gothic and modern architecture. Today the mansion is only one of the buildings open for tours on the grounds of the John and Mable Ringling Museum of Art. A world-renowned fine art museum, a thrilling circus museum and a beautiful Italian theater all set on a postcard-perfect waterfront setting on Sarasota Bay await offers visitors a full day of exploration and enjoyment. The Museum of Art was built by John Ringling to house his vast collections of antiquities and paintings by master artists including Peter Paul Rubens, Velazquez and Van Dyck. Pieces from the museum have been displayed around the world at museums including the Louvre in Paris, the Tate in London and the Vatican Museum in Rome. The art galleries also display exquisite Asian and American exhibits. The Circus Museum offers a glimpse into life under the big top, featuring the world’s largest miniature circus. Memorabilia including with posters, costumes, photographs, as well as many carved circus wagons bring the museum to life. The original railroad car that John and Mable Ringling used to travel around the country is also on display. The Historic Asolo Theater is an 18th-century treasure in a 21st-century venue. The three-tiered, half-circle shaped jewel box of a theater is a work of art in its own right. It is said to be worth the price of admission simply to be seated. On the drive back to Longboat Key, be sure to dine at the Columbia Restaurant situated on St. Armand’s Circle. The Columbia is the oldest restaurant in Florida and is now run by fourth and fifth generation members of the Gonzmart family with roots back to its 1905 opening. General Manager Tony Monetti has turned up the heat for Spanish fare in Sarasota with dishes like Shrimp “Al Ajillo” or the famous “1905 Salad”™. Many critics consider the Columbia Restaurant’s 1905 Salad recipe partly responsible for the success of the restaurant for the past 100 years. The 1905 Salad is tossed tableside and features lettuce, tomatoes, Swiss cheese, ham and olives. While the Columbia serves home-style Spanish cuisine with an emphasis on eclectic tapas, its wines come from around the world, with an emphasis on Europe and America’s West Coast vineyards. One word of warning, the portions are huge, however, the prices are quite reasonable. Longboat Key is a place you are more likely to hear about from a friend or colleague rather than from a travel section or advertisement. If you’re looking for an unhurried paradise where you can get sand in your toes while loafing in a lounge chair by the beach, sample fresh seafood from a mix of diverse restaurants or dangle a fishing line from (off a fishing pier) , then Longboat Key and the Sandpiper Inn is for you.